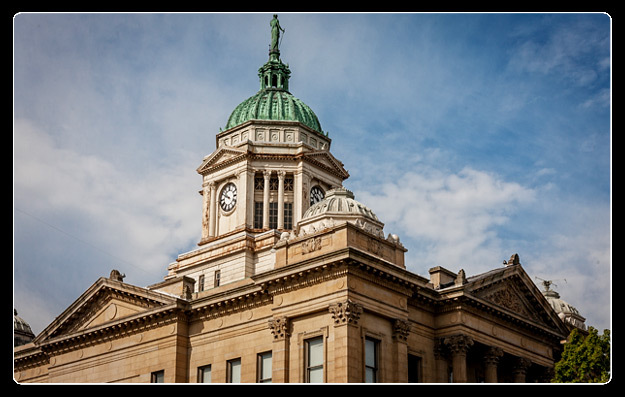 Wyandot County Court House, built in 1900 replacing the previous courthouse which was built in 1849. 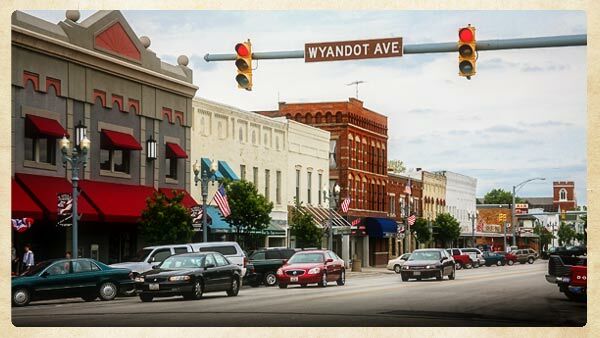 Named for its location on the Sandusky River, Upper Sandusky is the county seat of Wyandot County. Historically, Upper Sandusky was the seat of many historical events. Not far from the county courthouse, General William H. Harrison had Fort Ferree built during the War of 1812 on a bluff overlooking the river. This particular fort was just one of many small forts built along the western frontier that served as storage depots for moving large number of military and supplies to the front lines further north. These outposts also provided local residents some protection against the British and their Native American allies. Soon after the war these forts were abandoned. One of 4 blockhouses was used as a jail up until around 1850 when the first courthouse was built. 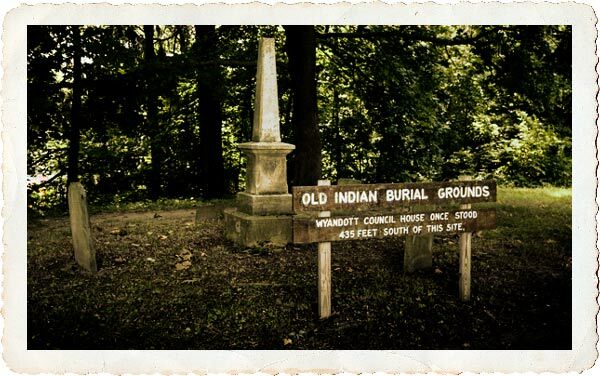 The town of Upper Sandusky was laid out in 1843 after the Wyandot Native Americans were forced to leave the area by the federal government that same year. The site of their Council House is marked along with a few grave site markers. It is said that Charles Dickens once spent the night in Upper Sandusky in his search for an old Indian spring which was reported to have curative powers.